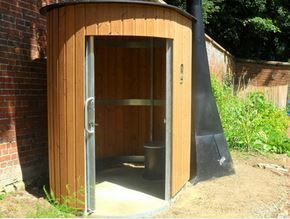 The waterless toilet facility was been installed at the Bohemia walled Garden with thanks to A4A Big Lottery Grant and the advice and support of WaterlessToilets (waterlesstoilets.co.uk). 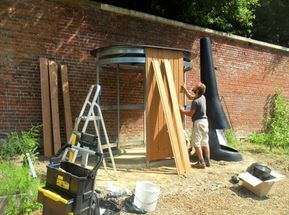 This was at a cost of £10,000 and installed in 2014. 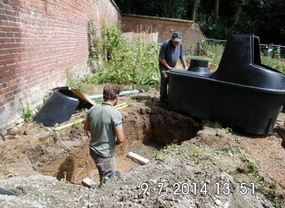 The series of photographs below provide some indication of the installation procedures with the diagram on the left showing the air circulation that dehydrates the waste and eliminates smells. 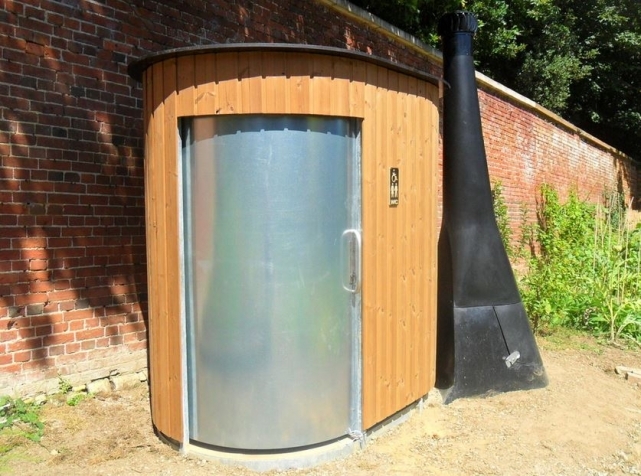 This waterless facility is used in a similar way as a conventional water closet in the home except that after use water is not used to flush the waste. 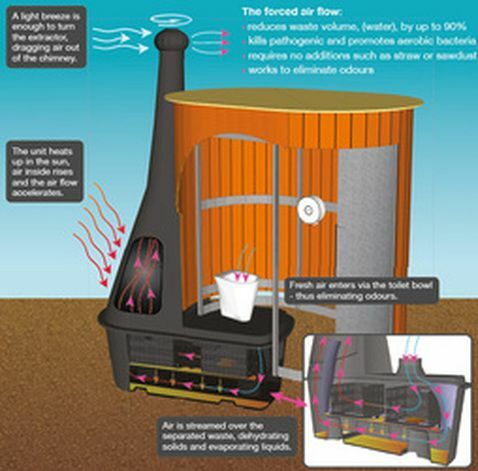 Liquids & solids fall into the area below the toilet seat and with the enhanced air flows are caused to dehydrate. The unit is only designed to take Human waste and paper. Nothing else must be put down there and this includes chemicals. It is cleaned with lemon juice.